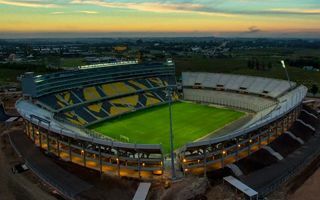 Since 1933 the Uruguayan powerhouse Peñarol had been attempting to build a proper private stadium, using the famous Estadio Centenario as their home. 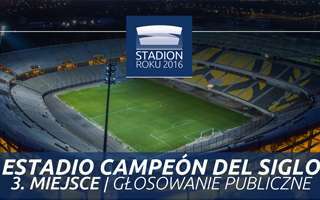 Although they own Estadio José Pedro Damiani, the stadium is far too small and inadequate to safely host games. Surprisingly, it wasn’t until a century after opening of their smaller stadium that the Aurinegros opened the long-desired own stadium. After failed attempts to build within the city of Montevideo, Peñarol bought 15 hectares in the outskirts, directly beside the new ring-road Ruta 102. Proper road access is combined with proximity of the Carrasco International Airport (8.5km). 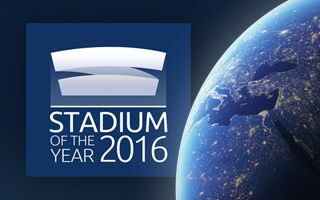 Although the club already had 55,000 socios as the time of drawing their plans in 2012 (the number rose to 85,000 upon opening in 2016! ), capacity of the stadium was set at 40,000. This was part of cost-optimisation, but also long-term ticket demand analysis. Design by local LRT architectural firm, the stadium is uses extremely simple and cost-effective structure to deliver the desired capacity with just a $40 million budget. The lower of two tiers is based on landfill to minimize cost. Vast majority of any enclosed floor spaces is located in the northern main grandstand. With 7 floors, this stand houses all matchday facilities for players, media and corporate guests. The latter includes 107 skyboxes, 16-people each. 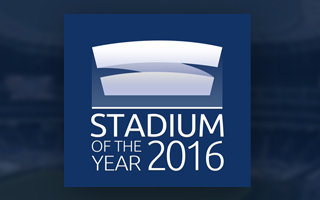 Infrastructure of all three remaining grandstands is limited to toilets and catering facilities. With cornerstone mounting in December 2013 and actual construction ongoing since Feb 2014, the building was due for delivery in mid-2015. However, by Sept of that year it only reached 75% and wasn’t opened until March of 2016. River Plate were the inauguration rivals, returning the favour after Peñarol came to open their stadium in 1938. The new stadium of the Aurinegros is Uruguay’s largest privately-owned ground. Quite adequately, because Peñarol is the country’s most successful club, as emphasized in the stadium’s name. 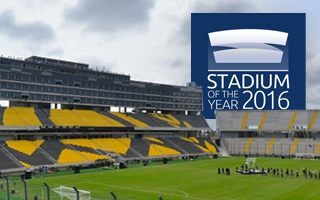 Public vote resulted in the building being named Estadio Campeón del Siglo (Champions of the Century Stadium), celebrating the selection of Peñarol as South America’s most successful team of the 20th century by IFFHS. You won’t believe how supporters of Peñarol managed to achieve this high position for their new stadium! They may have been the best South American team of the 20th century. But they also waited a century to get a private stadium good enough to meet their demand.